"I know of no place I like better than Malvern. ... In the Priory Church I spent many pleasant hours with the organist, Dr Hamand, who was beginning to collect money for a new organ. In 1928 his patient labour was at last rewarded by the building of a four-manual Rushworth & Dreaper." Abstract. 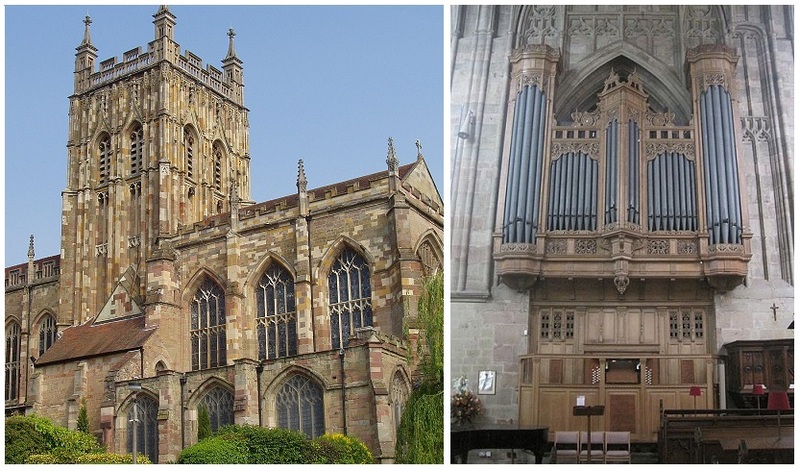 This article describes a digital simulation of the large and beautiful Rushworth & Dreaper organ of 1927 at Great Malvern Priory, England, though it is unusual in that the sound samples were recorded nearly forty years ago. At that time there was no thought of using them to recreate the sound of the organ because the necessary technology was not widely available, and instead they have been used in various studies of the physics of organ pipes. However the advent of the virtual pipe organ in more recent times means that the sample set can now be used to simulate the instrument as it sounded then (1979), which is significant because the organ has been rebuilt subsequently with consequential changes in its aural character. The simulation therefore retains the aural flavour and playing experience of an untouched English romantic instrument, Edwardian in concept, whose sounds have been lost to some extent. Some sound files are included. Way back in 1979, before some readers of this article were born I suspect, I 'sampled' (recorded the sounds of individual pipes on) the well known four manual organ at Malvern Priory, England through the courtesy of the then-organist, Richard Dacey. The instrument was built by Rushworth and Dreaper in 1927 as far as I know (so Alfred Hollins might have got the date slightly wrong in the quotation above) and it is widely considered to be one of their finest. Edwardian in concept, it was built entirely on a romantic basis and voiced super-smoothly without a hint of chiff and spit anywhere, and some have since argued that it was rather old fashioned even by the standards of the time. While this might be debatable from a tonal point of view, it was certainly true of the mechanics - the horrendously complex and inaccessible tubular pneumatic action resulted in many headaches for those trying to keep it going into the present century. Nevertheless, few will now deny that it was and remains a fine and worthy instrument in other ways which has seen off several attempts to 'bring it up to date', and for this we can be thankful. As it turned out, 1979 was a good time to have laid down the samples because the organ had been overhauled by the original builders only two years previously. They had therefore set all the pipework properly on speech but without making any tonal changes, thereby returning the sound of the instrument more or less to when it was built. Although I have since used the sample set for many purposes connected with studies into the physics of organ pipes, some results of which appear elsewhere on this website , I have never got round until recently to using the samples in a digital simulation of the complete instrument. The main reason for this long delay is that there was no practical way of realising a digitally simulated organ at reasonable cost in those days, nor for many years thereafter. The Allen organ had not long been in production, they still gripped the patent reins tightly, and digital synthesisers and sound samplers for all to use were things of the far future. Even so, you might wonder why I wanted to capture the lost sounds of an organ as it was 40 years ago. The answer lies in the question itself which mentions 'lost sounds'. The sounds recorded in 1979 are indeed lost today because the organ was the subject of a further overhaul in 2004 in which its aural character was altered noticeably and intentionally, even though there were almost no changes to the stop list. Among other things the soundboards were repositioned and their layouts reconfigured, and some revoicing was carried out. This is not a criticism of the organ builders or their work because they addressed several tonal defects which existed in 1979. These included a swell box which faced the wrong way so that its pipes spoke into the rest of the organ rather than into the church. The voicing of the main flue choruses, including the mixtures, was also rather subdued - they had the distinctly fluty tone characteristic of their era rather than the more forthright diapason sounds which were sought. Furthermore, I believe only two vinyl EP recordings were made of the original instrument in the 1960s and I have never come across them. Consequently my vintage sample set seemed to grow in significance the more I thought about it. The stop list of the organ as it was in 1979 can be found in the National Pipe Organ Register , and that of the simulated version is shown below. 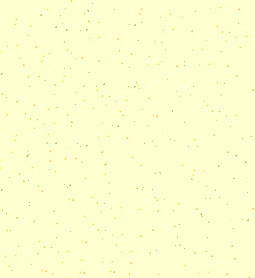 Comparing the two will show that all but a few stops are included in it, and those which do not appear were omitted mainly for one reason. The organ at that time still had a very noisy winding system despite the recent intervention in 1977, and the third diapason on the Great organ is an example of a stop whose samples were more or less unusable. The same applied to the bottom octave of the 32 foot extended Open Wood rank on the Pedals. On the other hand another stop present in 1979, the 16 foot Dulciana on the Choir, was retained in the simulation whereas its pipes were discarded at the 2004 rebuild. So the simulation enables this now-lost stop to live again, as well as capturing the overall aural flavour of the organ as it was all those years ago. The sample set is rendered by my Prog Organ virtual pipe organ system. Since this is currently played from a console with only two keyboards, two of the four manual divisions (the Choir and Solo organs) are 'floating'. This means they are played by coupling their stops to either or both of the physical keyboards which control the Swell and Great. In this way I am delighted to have ended up with a simulation which has undoubtedly captured the nuances of a large organ whose character has since changed, and moreover one which served the Priory well for nearly eighty years until the overhaul in 2004. I can say this with some confidence having heard and played the instrument often enough to have retained a good aural recollection of what it sounded like in the 1970s, as well as being perhaps the only person in the world having the contemporaneous sample set to prove it! Because the merits of the English romantic organ have not attracted universal approval over the last century or so, tonally-untouched examples have become quite rare. So many of these pipe organs have been irrecoverably altered by no doubt well-meaning interventionists, and this is also reflected in the range of digital instruments available. The latter circumstance follows from the former, because if there is no pipe organ available to sample then by definition it is difficult or impossible to recreate it electronically using the copyist approach. This is why so many romantically-voiced digital instruments seem to reflect either the American Classic sound, or bowdlerised ideas of so-called 'English voicing' (as if there were only the one style!) from some manufacturers in continental Europe whose sonic envelopes mainly orbit around variations on neo-baroque themes. Even if the current Malvern organ were to be sampled, it would not recapture the flavour of the original as this simulation has done because of the tonal changes made in 2004. So the following sound clips might enable you to form a judgement of the quite rare instrument I now enjoy in my home. On entering the vastness of Malvern Priory one's initial impression is that its acoustic will be comparably spacious, but in fact it has a surprisingly short reverberation time - at least, that was always my reaction. Consequently you might find the recordings below sound rather 'dry' for so large a building, but this is probably compounded by the relatively short distance between the microphones and the pipes when the original samples were recorded. This article has described a digital simulation of the large and beautiful Rushworth & Dreaper organ of 1927 at Great Malvern Priory, England, though it is unusual in that the sound samples were recorded nearly forty years ago. At that time there was no thought of using them to recreate the sound of the organ because the necessary technology was not widely available, and instead they have been used in various studies of the physics of organ pipes. However the advent of the virtual pipe organ in more recent times means that the sample set can now be used to simulate the instrument as it sounded then (1979), which is significant because the organ has been rebuilt subsequently with consequential changes in its aural character. The simulation therefore retains the aural flavour and playing experience of an untouched English romantic instrument instrument, Edwardian in concept, whose sounds have been lost to some extent. 1. "A Blind Musician Looks Back", Alfred Hollins, Blackwood, London & Edinburgh, 1936. 3. "A second in the life of a Violone", an article on this website, C E Pykett 2005. This article examines the structure of the curiously beautiful attack transients emitted by large flue pipes, using the Violone stop on the pedal organ at Malvern Priory as an actual example.